We begin every relationship by discovering the unique drivers, motivators, and challenges to your business. ​customized solutions to help you build a brighter future. 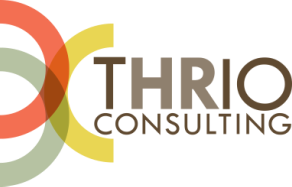 ​THRIO delivers end-to-end Human Resources guidance, support and innovative solutions to help your company — and your employees — perform, grow, and thrive. Let's face it — human resources can be complex and confusing, especially for small businesses. We have the expertise to help you start out right and cover all the bases, so you can focus on growing your business. Ready to take your company to the next level? We have the expertise and solutions to help you find the right talent, motivate performance, and retain your best people, so your business can thrive. Give your culture a voice. Does your external brand ignite passion with your internal customers? We have the expertise to harness the power of your brand to create an authentic, transparent, and engaging culture.